In just six months since the product was first made available, organisations as varied as John Lewis & Partners, the English National Opera and Manchester Cathedral have enrolled their staff. 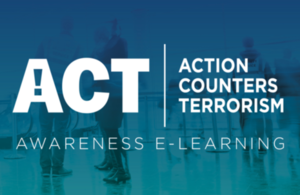 Called ACT Awareness e-Learning, the training was developed in a ground-braking partnership between Counter Terrorism Policing and retail giant Marks & Spencer. It covers how to spot the signs of suspicious behaviour and what to do if an attack should take place. Free to use, the course can be divided into short sections to suit business needs. However it takes just 45 minutes in total to complete - 45 minutes that could save lives.